Jews have never made up as much as 1 percent of Mississippi’s population. Yet despite their small numbers, Jews have had a significant impact on life in the state. Jews have lived in Mississippi since the eighteenth century, though the first significant Jewish community was not established until the 1800s in Natchez. The first Jewish religious service was reportedly held in Natchez in 1800. The state’s oldest congregations are B’nai Israel, formed in Natchez in 1840, and Anshe Chesed, formed in Vicksburg in 1841. During the nineteenth century, Jewish immigrants from the German states and Alsace settled in Mississippi. Late in that century and early in the next they were joined by Jewish immigrants from Eastern Europe, many of whom initially worked as traveling peddlers. Since most Jews had been legally prevented from owning land in Europe, they had no experience with farming, and most had supported themselves through business ownership. When they came to the United States, they drew on this entrepreneurial experience and became involved in commerce, traveling from town to town to sell supplies to farmers and their families. After these peddlers, most of them young single men, saved enough money, they opened stores in the towns through which they had traveled. As Mississippi and the rest of the South began to move toward a capitalist, commercial economy in the wake of the Civil War, merchants played an essential role in linking southern farmers to the national market. In towns throughout Mississippi main streets were dominated by Jewish merchants. The most notable success was Stein Mart, now a national department store chain, which had its roots in a dry goods store founded by Russian Jewish immigrant Sam Stein in 1908 in Greenville. This economic role brought great opportunity as well as real challenges. Since laws prevented Jewish merchants from opening their stores on Sunday, most had no choice but to work on Saturday, the Jewish Sabbath. It was also very difficult to follow Jewish dietary restrictions in the absence of a ready supply of kosher meat. 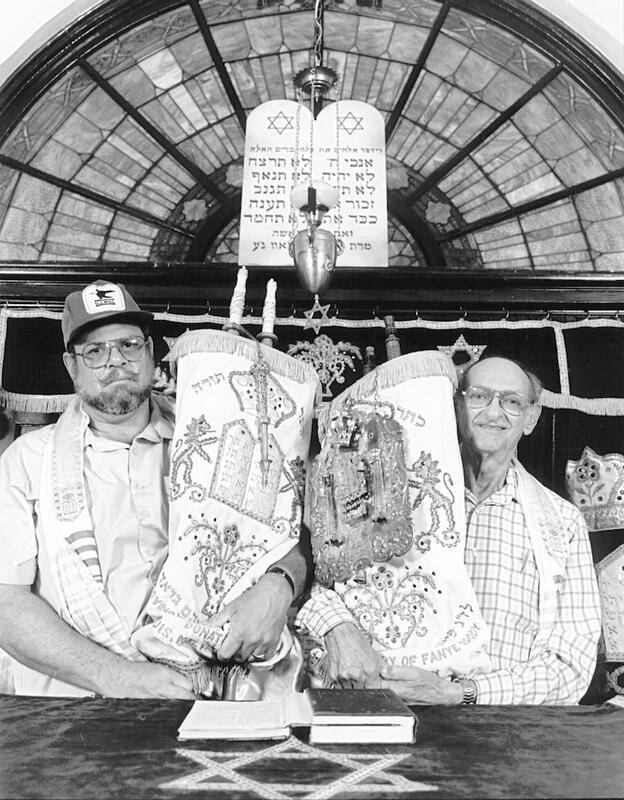 Mississippi Jews adapted their traditional religious practices to fit their new environment. For the most part, Jews have enjoyed acceptance in Mississippi, in part because they quickly assimilated to southern culture. While remaining faithful to their unique religion and culture, southern Jews have worked to lessen the barriers and differences between themselves and their Gentile neighbors. Many Jews have held positions of civic leadership, including serving as mayors of Natchez, Meridian, Vicksburg, and Rolling Fork. They have embraced the cultural values of the South, for better or worse. More than two hundred Mississippi Jews fought for the Confederacy during the Civil War, and even Jews who had not even been in the United States at the time of the war later celebrated Confederate Memorial Day. Many embraced the symbolism and mythology of the Old South. Jane Wexler, a Jewish woman whose mother was one of the founders of the Natchez Pilgrimage organization, was the queen of the Pilgrimage in 1932. During the civil rights movement many Jews shared the prejudices of their white non-Jewish neighbors, although others, inspired by Jewish values, spoke out in favor of racial equality and integration. Indeed, anti-Semitism was most pronounced during the struggle over civil rights. In 1967 the Ku Klux Klan bombed Jackson’s Temple Beth Israel and the home of its rabbi, Perry Nussbaum, who supported integration. Several months later the Klan bombed Temple Beth Israel in Meridian. The incidents galvanized much of the local non-Jewish community to denounce these violent acts. Although Mississippi Jews worked hard to fit in, they also sought to maintain their distinct identity. Jewish parents encouraged their children to marry other Jews, a difficult task in towns with only a few Jewish families. As a result, Mississippi Jews built statewide and regional social networks to ensure that their children had access to Jewish peers. Utica’s Henry S. Jacobs Camp, founded in 1970, has become one of the most significant Jewish experiences for young Jews in Mississippi and the surrounding areas. Mississippi’s Jewish population has declined from more than four thousand in 1968 to perhaps fifteen hundred after the turn of the twenty-first century. The children of the Jewish merchants who settled in Mississippi attended college, became professionals, and had little interest in taking over the family business. The decline of Mississippi’s rural economy and the rise of national retail chains have also pushed Mississippi Jews to such booming Sunbelt cities as Atlanta, Dallas, and Houston. The Museum of the Southern Jewish Experience, with branches in Utica and Natchez, was created in 1986 to ensure that the legacy of Mississippi Jews lives on even if their numbers continue to decline.